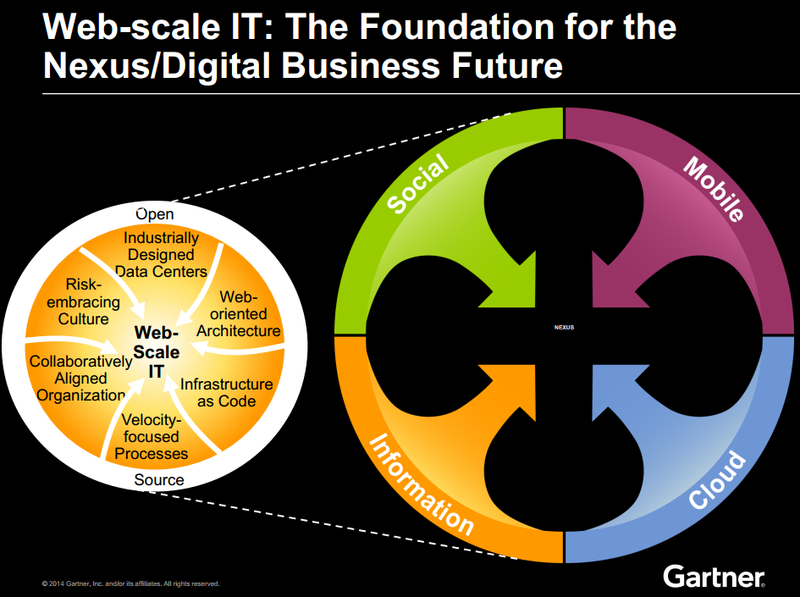 So, if your IT organization isn't prepared for this transition, what are your options? What is Web-scale IT? It's all of the things happening at large cloud services firms -- such as Google, Amazon and Facebook -- that enables them to achieve extreme levels of compute and storage delivery. The methodology includes industrial data center components, web-oriented architectures, programmable management, agile processes, a collaborative organization style and a learning culture. services constructed in this way are better equipped to scale geographically and share multiple data centers with limited impact on user performance. This approach also blurs the lines between capacity planning, fault-tolerant designs, and disaster recovery.